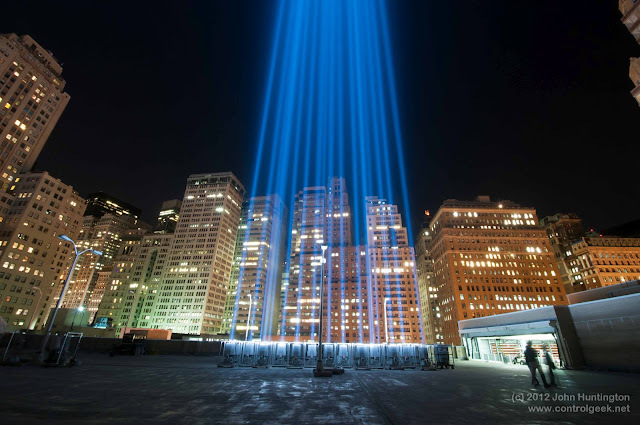 In 2010, I got the opportunity to visit the base of the "Tribute in Light" through friends working on the project. I brought my tripod and shot this picture. More pictures here, including a couple of me driving a U-Haul truck on the World Trade Center plaza to light the towers in the 1980's.